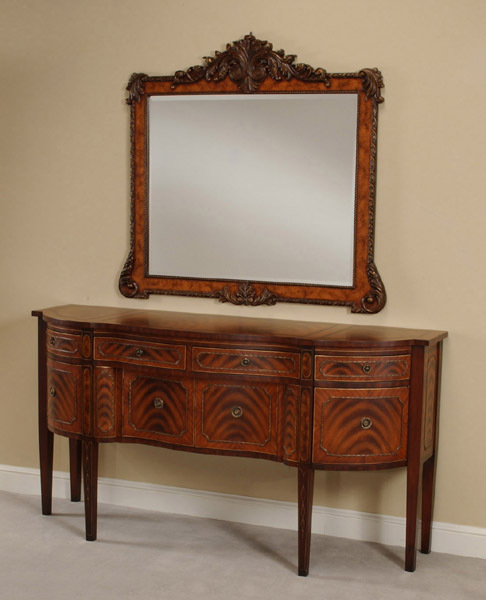 Description: This classic Sheraton Style Sideboard is hand painted in Catedral Mahogany veneers. There are 4 felt lined drawers and 4 Doors. 68229MI "Classica" Beveled Mirror 48"x2"x36"
Availability: Current Item Dimensions: Console Size: 75"x24"x38"